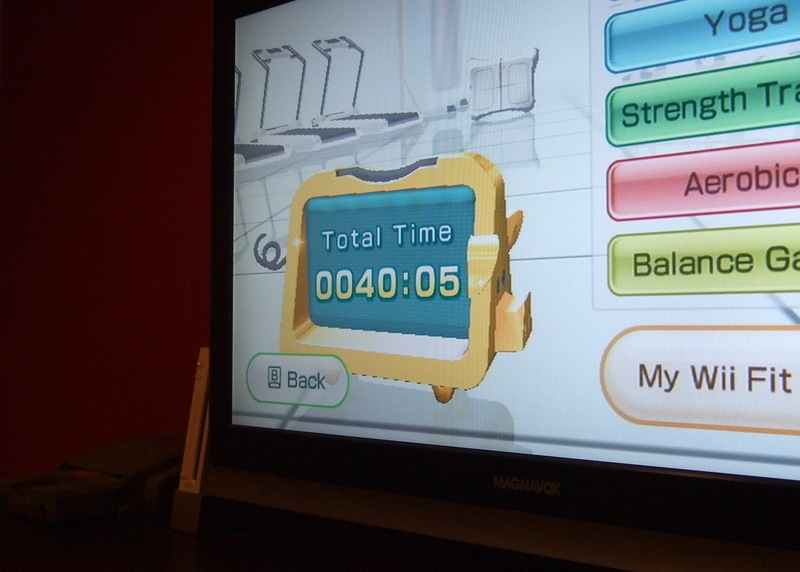 ... but I finally passed the 40-hour mark on Wii Fit Plus. My reward? A golden pig! Sadly, I was pretty excited when the little sucker (squealer?) popped up on the screen. 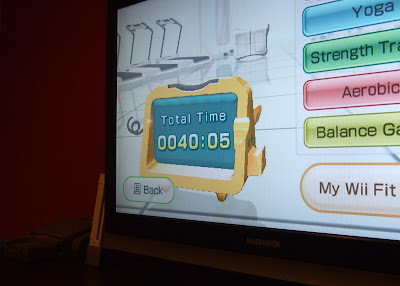 Are any of you still using Wii Fit/Wii Fit Plus or am I, as I'm often led to believe, one of the few remaining Wii Fit aficionados? I would still like to get it. I didn't know you were still Wii Fit-free, Justin! If you can see yourself using somewhat regularly, I'd obviously recommend it. It really can give you a great workout if you choose your exercises wisely.